I have the immense pleasure of following J.T. 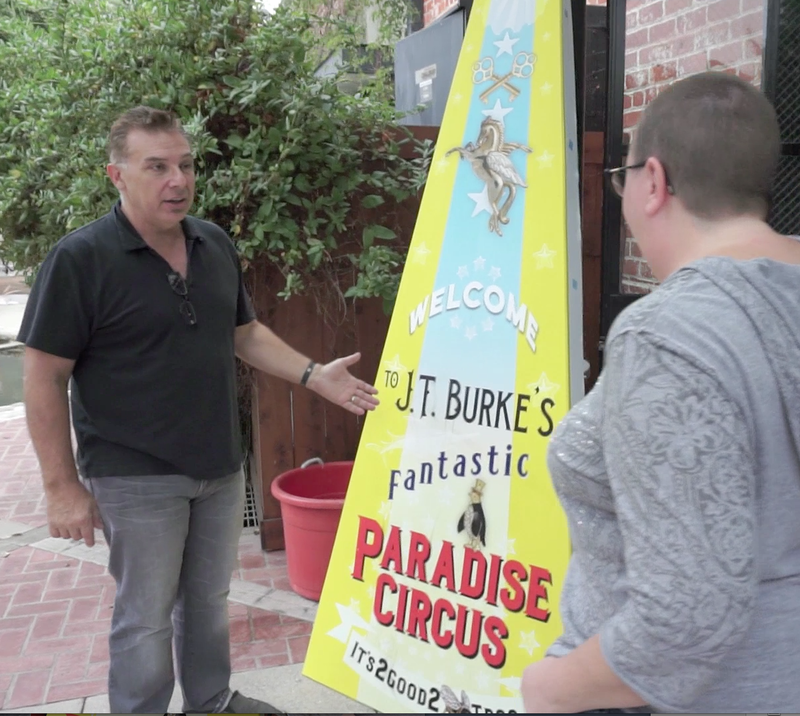 Burke on the organization, construction and installation of his newest project, "The Paradise Circus, Los Angeles 2015." This ambitious, large-scale installation – his first serious effort at a three-dimensional artwork – will be the center of attention at the upcoming LA Art Show January 14-18, 2015 at the Los Angeles Convention Center. When I first met with J.T. Burke and his wife, artist Lorraine Triolo, in their studio last month I was blown away by the sumptuous and impassioned work. 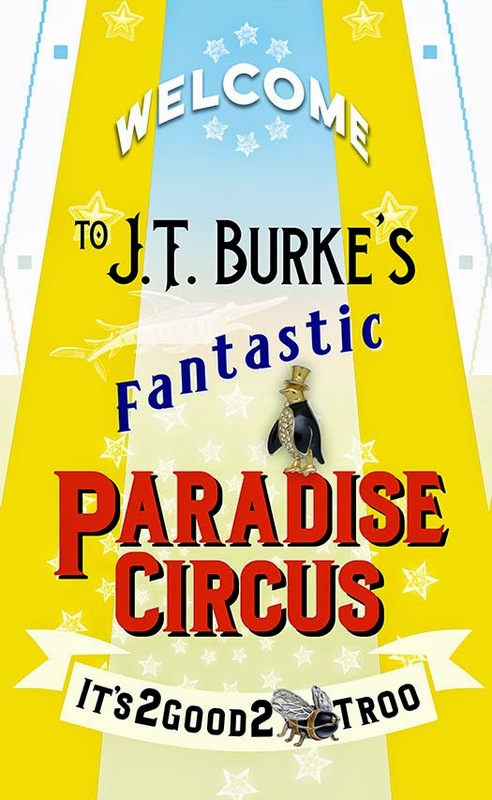 I can't reveal too much about the project just yet, but I will say that you'll be mesmerized by the spectacle involving the sacred and the silly, and by the mashed-up notions of carnival and cathedral. You may want to confess your sins to the art world, and do it with cotton candy in your hand. JT explained that Peter Mays, Executive Director of the Los Angeles Art Association, was the catalyst for this project. "Peter has been a friend and supporter of my work for some time, and he motivated me to move from comfortable 2D wall art to 3D installation. I had hung a large mural in an office lobby earlier this year, but it was his suggestion to 'just go crazy', as he likes to say, that gave me the confidence to propose this project." And then there's the soundtrack. Composed by J.T. 's friend and fellow South Pasadena resident Mocean Worker, the Soundtrack to Paradise currently has the working title "Angus Dei Tuvan Bali Calliope." It sounds just like that. More about the music and J.T. 's collaboration with Mocean Worker to come. Follow J.T. 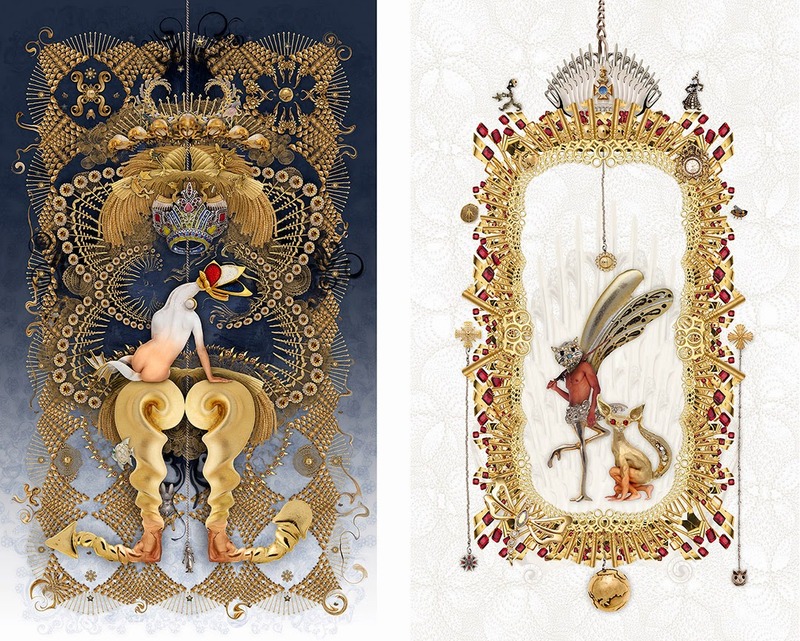 's blog for more on The Paradise Circus, Los Angeles 2015 and information on the LA Art Show. You can also find us on Facebook where we will post regular updates of the construction process. J.T. Burke with publicist Kristine Schomaker and first prototype of the Circus steeple.